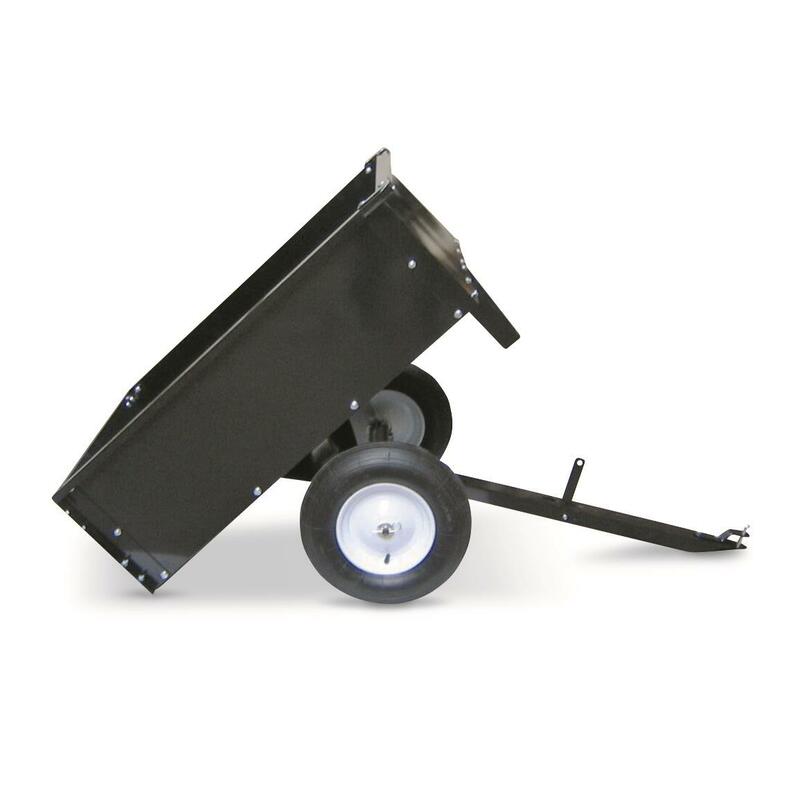 The Yard Tuff Tow Cart is built tough and is ready to haul heavy loads with your tractor or ATV. With a large 500-lb. 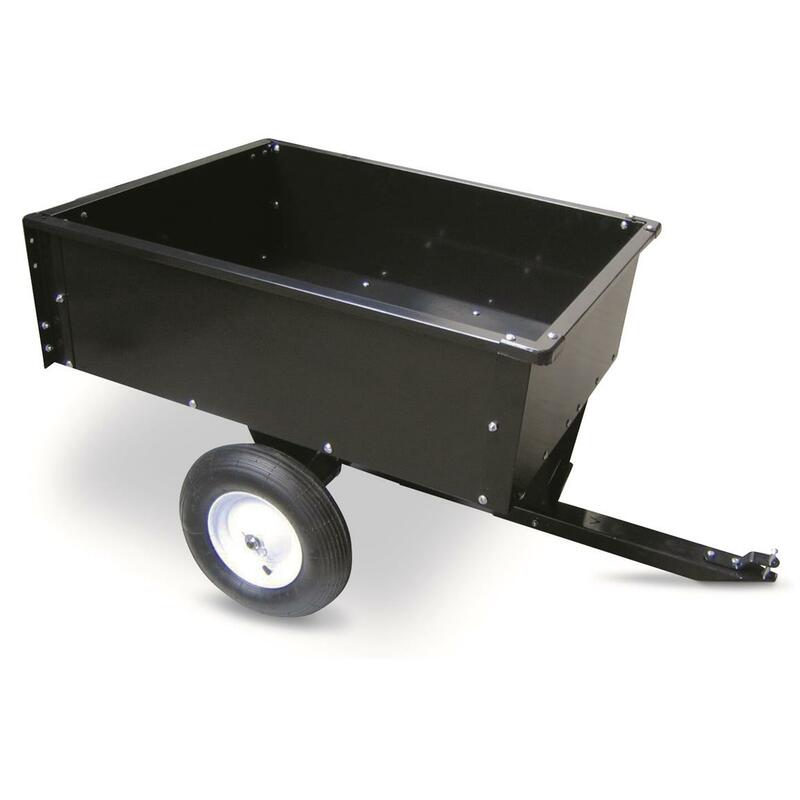 capacity and 10 cu.-ft. heaping load volume, you can easily hook this cart up and get to work removing yard waste, leaves, mulch or vegetables. Of course, this Cart isn't restricted to just lawn and garden use. You can haul most anything that'll fit in its 38” x 30” x 11.63” bed. The 16" pneumatic tires make for easy transport and you'll appreciate the removable tailgate and convenient dumping mechanism. It's a Cart you'll turn to when you have work that needs to get done. Heaped Load Volume: 10 cu. ft. Bed Dimensions: 38” x 30” x 11.53”h. 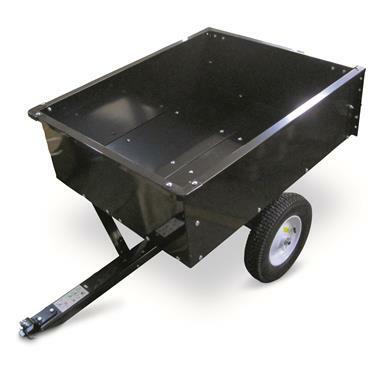 Overall Dimensions: 59" x 32.5" x 30"h.
Yard Tuff FC-10 Tow Yard Cart, 500 lb. Capacity is rated 3.5 out of 5 by 2. Rated 4 out of 5 by Mike33 from Good product No issues besides some minor damages from shipping. I needed this product so just bent the pieces back into place instead of returning it. Rated 3 out of 5 by Stefan from Utility trailer Price is worth the stamped steel on this but the instructions were HORRIBLE!!! Took a few test installs and uninstalls to get it right and the tires were flat when the box arrived. (Do you think they were worried that the air would add more shipping weight?) Missing a few nuts and bolts when it arrived. Overall, it was a so,so buy = 3 stars.